President Jacob Zuma's birthday parties in 2015 and 2016 were sponsored by controversial facilities management group Bosasa. Bosasa, led by CEO Gavin Watson, was found to have bribed prisons officials for tenders by the Special Investigating Unit (SIU) and is currently under criminal investigation by the Hawks. News24 can reveal that Bosasa paid about R3.5m for the parties through Zuma's foundation, led by former SAA chair Dudu Myeni. The revelations come hot on the heels of investigative journalist Jacques Pauw's latest book, The President's Keepers, that exposed Zuma receiving R1m a month, for at least four months after becoming President in 2009, from tender tycoon Roy Moodley. 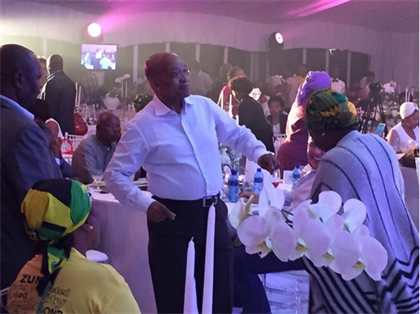 There were family-only invitations for the birthday bashes at Dube House, Zuma's presidential residence in Durban. However, they were attended by Watson and other Bosasa executives. Myeni, who chairs the Jacob Zuma Foundation, has denied any wrongdoing. The Presidency did not respond to detailed questions and Bosasa said it had no special relationship with the president. The scandal-plagued Bosasa recently changed its name to African Global in an attempt to avoid negative perceptions linked to the group's old name. The group has won numerous multimillion-rand tenders from the Department of Correctional Services and provides security to the Department of Justice and Airports Company South Africa. 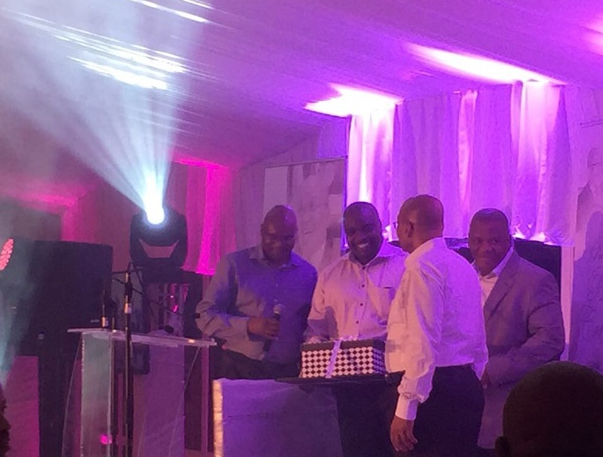 Bosasa paid for the catering and decor at the parties and handed Zuma a specially-crafted chess gift set at his April 12, 2015 function. The Presidency portrayed the 2015 party as a small, intimate family affair in a press release at the time. 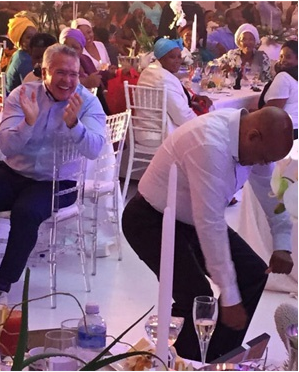 But pictures show Bosasa executives attended the family affair, dancing the night away with Zuma. Documents seen by News24 show that the catering, provided by Bosasa, in conjunction with top local chefs, provided for 300 plus guests. Bosasa constructed a marquee on the Presidential house's helipad and front gardens. Two sources confirmed to News24 that the two parties amounted to R3.5m in expenses for Bosasa. Myeni thanked Watson for hosting Zuma's 74th birthday party in a letter written to him on April 16, 2016. "On behalf of the Patron of the Jacob G Zuma Foundation, His Excellency, the President of the Republic of South Africa, Mr Jacob Zuma, may we take this opportunity to thank you for the splendid birthday dinner planned at a short notice. "The family was thrilled to have a memorable time with their father, intimately enjoying the wonderful dinner, prepared with care. The chef's creativity and professionalism was commended by everyone. "Thank you for your generosity and time spent to ensure that the first family had the grandest birthday," Myeni concluded. Sources with intimate knowledge of the party said prawns, sourced from Bosasa's now defunct aquaculture farm near its headquarters in Krugersdorp, Bio-organics, was served as a starter. Myeni admitted that Bosasa had hosted the birthday parties and asked why News24 was not asking about who had hosted earlier parties. She said the Zuma Foundation, like all other foundations, receives sponsorships from various donors, including mining companies and various other sectors. "Some of these donations come by way of monetary contributions and others by way of services provided by the respective companies." "In the case of Bosasa, it provided its services of catering to the party." Myeni explained that her relationship with donors or any company that has supported the foundation was above board. "We have no special relationship with Gavin Watson." African Global/ Bosasa spokesperson Papa Leshabane said News24's questions were part of an "emerging agenda-driven campaign to discredit the company". "Your questions, regrettably, insinuates that African Global has a special relationship with President Jacob Zuma and The African National Congress (ANC). African Global has no special relationship with President Zuma. Like any other corporate entity anywhere in the world, African Global does interact with the ANC as the current ruling party of our Republic." Leshabane said its relationship with the ANC is very open and not a clandestine one. "It will be naïve of any business operating in any country not to assess the state of stability and policies for business continuity." City Press revealed in 2011 that an SIU investigation had found Bosasa bribed former prisons boss Linda Mti and department CFO Patrick Gillingham with houses and cars to win state tenders. The case was given to the Hawks in 2009, but the National Prosecuting Authority has failed to institute a prosecution. The SIU found the existence of an "improper and corrupt" relationship between senior correctional services officials and the Bosasa group, which has received massive tenders since 2004 to provide catering services, security equipment, televisions and modern fencing to prisons. Investigators claimed that at least four tenders amounting to more than R1.5bn were awarded under questionable circumstances. Bosasa also runs the Lindela repatriation camp for the Department of Home Affairs.